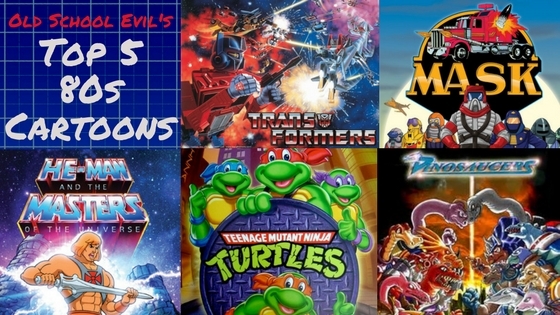 When I went into the second phase of the Villain Retrospectives and went searching for cartoons I missed, I was at least a little familiar with them. I probably heard the name before or remember seeing the toys when I was a kid. But Blackstar? Nope. Not a single memory of it. 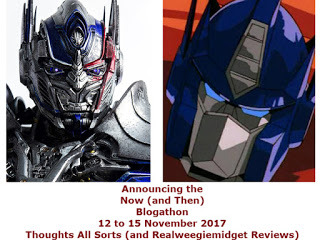 Before I went diving into the cartoon headfirst (you know, on YouTube), I got some help from some friends and checked out Saturday Morning Breakfast Mix (their Blackstar episode can be found here). I've admired the work put in their show and it's become a go-to for cartoons I've missed. Blackstar is the story of an astronaut that got sucked through a black hole and crash-landed on an alien world. He meets the alien Trobbits, and with the help of the sorceress Mara and shape-shifting Klone, he fights the evil forces of Overlord. 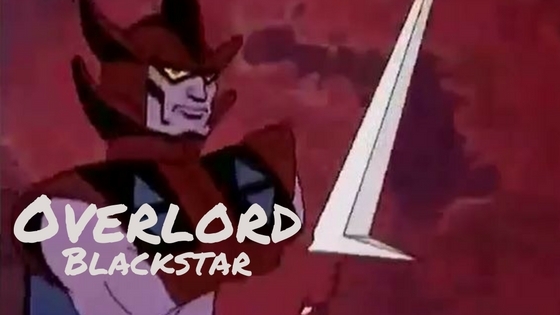 Blackstar and Overlord control two halves of the PowerStar, the Power Sword and Star Sword respectively, and uniting them would make the holder invincible. However, when I see the word "precursor," I didn't realize just how far in the past that it seemed. Blackstar feels like it came from a whole different era than the rest of Filmation's work. First off, this is before the studio started rotoscoping a lot of their animation. For those unaware of what that means, rotoscoping is an animation technique where the cells are drawn over live-action footage. Watch a He-Man episode and a lot of the good recycled animation is drawn directly from real models. Because of this, Blackstar's animation comes out a lot less smooth, while still retaining the highly-edited, almost choppy look. The characters don't fair much better with Blackstar and Co. being mostly bland cookie-cutter hero templates and having not one but seven comic relief characters, going so far as to copy the dwarves from Snow White almost verbatim. Worst of all, Overlord himself has none of the charm from subsequent Filmation villains. Alan Oppenheimer doesn't give Overlord any kind of character in his voice acting, and without something like Skeletor's signature laugh and mean-hearted put-downs, there's nothing that sets him apart from his subordinates. That leads to another problem - his lackeys. There aren't any! Almost every episode has a new villain working for him, and when they're all voiced by Oppenheimer, it's no wonder Overlord gets the most generic voice. My biggest problem with all of these episodic bad guys is that Overlord himself barely gets any screen time, except, of course, for when he's on a screen talking to the other character. It really just ruins whatever credibility he gets, even when he's got one of the most powerful weapons on the planet. But honestly, I know I can't give Overlord too much crap. 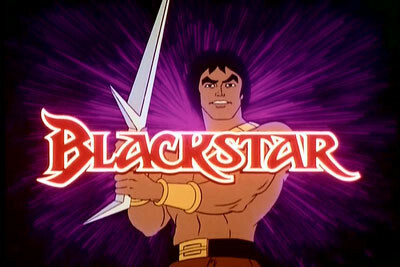 Of all the cartoons I'm looking at for Old School Evil, Blackstar is one of the oldest, starting in 1981. There were cartoons before that of course, like Thundarr the Barbarian, which many say inspired this one. But before Overlord, there weren't any original villains that the hero faced off against in every episode. Maybe the writers weren't used to using a regular bad guy and were stuck in their episodic formula. Whatever the case, I can't blame Overlord for much of his problems, considering the villains that followed him were so much more colorful and quirky and most of all really enjoyable. Coolness - 1. Even if I can't blame him for his faults, it doesn't stop me from recognizing them. Everything about him, from his design to his voice, is just so generic. He's got a goofy helmet on, he's purple (the color of evil), and he's got a cape. 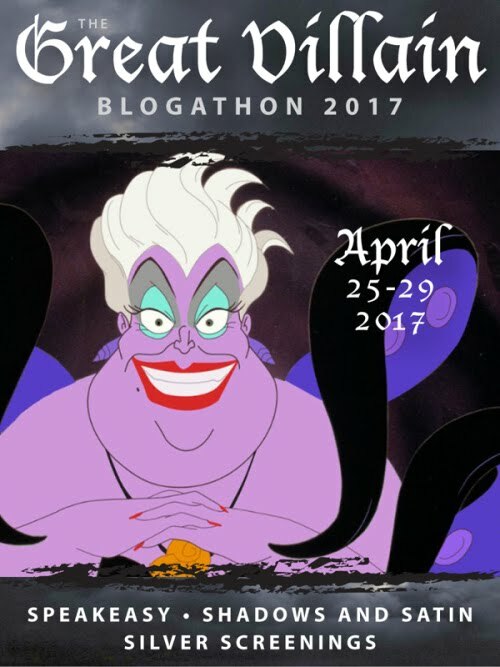 There's nothing else you really need to be a villain, I guess. Even his powers from the Star Sword are uncreative, mostly just shooting Filmation's patented white lasers that don't do anything. Don't believe me? Watch any Filmation cartoon and keep an eye out for every blast from a finger, a ship, or a gun - it'll be white and have no effect when it hits something. And let's be honest - that is the most awkward and uncomfortable sword I've ever seen. Effectiveness - 2. Can I even give him a rating since he's not the one fighting Blackstar in most episodes? He's basically Dr. Claw, yelling at his lackeys through the whole episode while not lifting a finger to help them. Yes, he does have half of the PowerStar and it's believed to have the same powers as Blackstar's half, but I don't think he uses them as much. And he's taken over a lot of the planet, employing every bad guy to attack Blackstar one after another. But I'm just not sure I can credit Overlord with any of their successes. On the other hand, I can't blame him for their failures either, so I'll be generous with the 2.